PORTLAND, Maine (AP) - Maine Gov. Paul LePage’s re-election team has launched a phone campaign seeking to clarify the Republican governor’s position on Social Security. 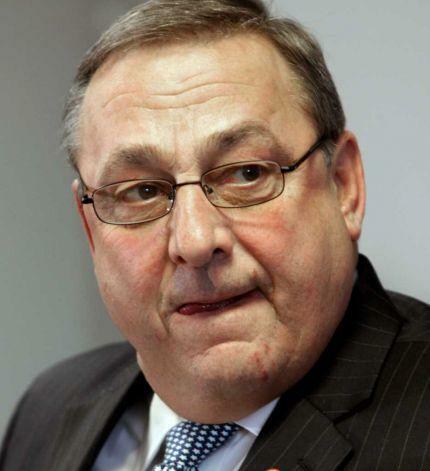 LePage’s political foes criticized a news release from his office last week that they said categorized Social Security, Medicare payments, Medicaid and unemployment insurance benefits as forms of "welfare, pure and simple." LePage’s campaign said the governor doesn’t think Social Security is welfare and that Democrats took his words out of context. In the minute-long robocall launched this week, LePage blames “liberal newspapers” and “liberal politicians” and says his policies have helped Maine seniors. LePage says his opponents presented voters with "false information." The Portland Press Herald reports that the calls are being paid for by LePage’s campaign, but his team wouldn’t provide other details, like cost. Listen to the audio of the LePage campaign's robo-call. Read the press release issued by Gov. LePage's re-election campaign, from which the statements about Social Security were made.